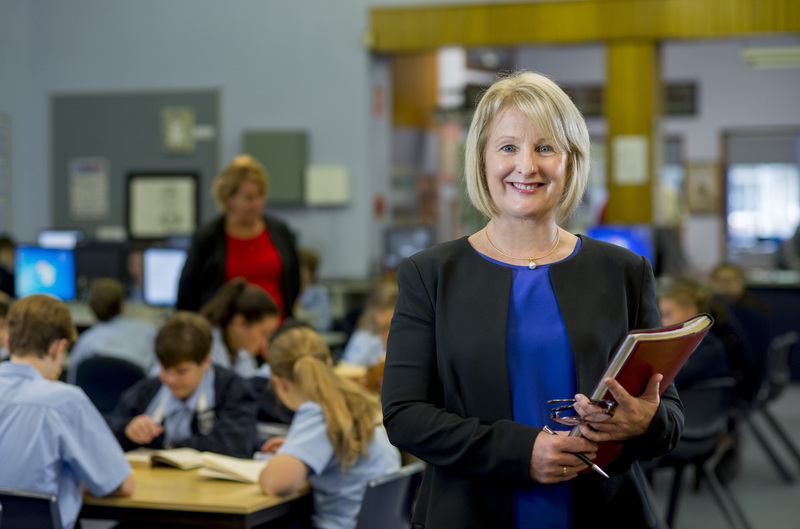 Professor Jenny Gore and Dr Julie Bowe, from the University of Newcastle’s (UON) Teachers and Teaching Research Centre, are transforming the quality of teaching in NSW with an innovative approach to professional development for teachers. Quality Teaching Rounds, the brainchild of Gore and Bowe, enables teachers to draw on their own strengths and the advice of their peers to find creative ways of improving their practice. Using an evidence-based model whereby small groups of colleagues watch a lesson in progress and assess performance, each teacher takes a turn to host a round – similar to medical rounds used to teach junior doctors in hospitals. It enables teachers to feel really positive about themselves and their work. And it’s having demonstrable impact on student learning overall and on equity outcomes. The lesson is coded and discussed by the teacher and the observers against the dimensions of quality teaching identified in the Quality Teaching model, which was developed by Gore and Associate Professor James Ladwig. Breaking down teaching into its key elements enables teachers to notice and analyse exactly what's happening in the lesson. “Although the coding process is central to achieving depth and specificity in the analysis, teachers quickly realise it’s not about the numbers, it’s about the professional conversations they have in the experience,” Gore said. Unlike most professional development for teachers – where they might attend a workshop but then never have the opportunity to apply what they’ve learned – this approach enables teachers to use a combination of their own professional judgement and evidence generated through a research-informed framework to work out how to improve their practice. “We’ve found that teachers are really excited about this way of working and the opportunity it creates for them to analyse in detail what they are doing and collectively work on ways to improve teaching practice,” Gore said. The Quality Teaching model is already used in more than 2,300 government, 300 Catholic and 30 independent schools throughout Australia. It has been shown to make lessons more intellectually engaging and challenging, improve the learning environment, and increase the significance of what is learned. 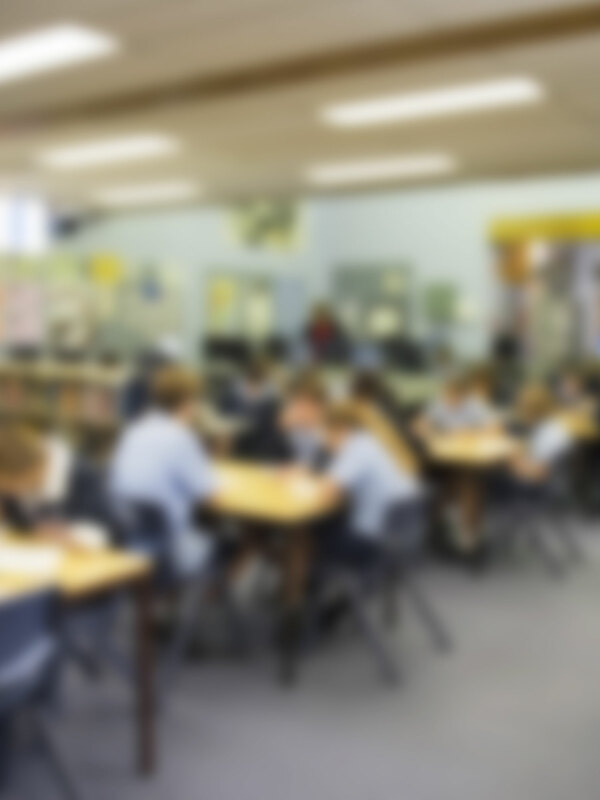 Together with their colleagues, Professor Max Smith, Professor David Lubans and Dr Nicole Mockler, Gore and Bowe conducted a scientific trial in 2014 to test the effectiveness of the QTR approach with a randomly selected group of public schools in NSW – with a view to providing the academic rigour necessary for Quality Teaching Rounds to be rolled out more broadly. Earlier analysis of Quality Teaching Rounds suggested it produces significantly higher quality teaching and thus benefits students, for example by raising NAPLAN scores in the classes of teachers who have participated. “It puts a focus on the things that should and will matter to students in terms of enhancing their life at school and building a commitment to lifelong learning,” Smith said. The 2014 randomised controlled trial involved 24 schools which were divided into two intervention groups and one control group. Observers were ‘blinded’ as to which group received which intervention (the control group received their intervention the following year). The research team was inundated with interest from schools, with nearly 250 applying to take part in the trial. Results of the trial demonstrated positive effects of the approach on both the quality of teaching and teacher morale. These effects were consistent across school sectors, school level of advantage, and teachers’ years of experience – and were also sustained 6 months post-intervention. On the basis of earlier research conducted by Gore and Bowe, the NSW Government has written the Quality Teaching model and Quality Teaching Rounds into its blueprint (Great Teaching Inspired Learning) for all NSW Schools. The team hopes to introduce Quality Teaching Rounds across all public schools in the State. “This is impactful research embedded in policy with the potential to change the preferred model of teaching and teacher development in schools across the state,” Smith said. Jenny began her career in education as a secondary physical education teacher in South Australia and subsequently completed a Master’s degree at the University of British Columbia, Canada (1983), and PhD at the University of Wisconsin-Madison, USA (1990). 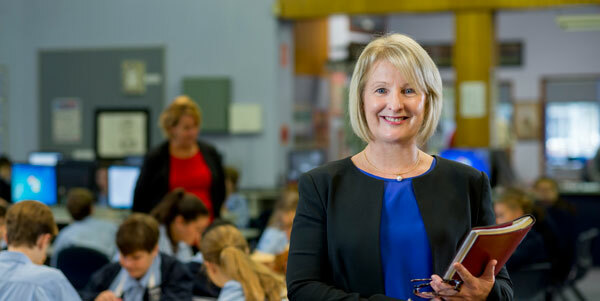 Having worked previously at the University of Queensland, she has been at the University of Newcastle since 1991, where she was Dean of Education and Head of the School of Education from 2008 to 2013, and is currently a Professor of Education and leader of the Teachers and Teaching Research Centre. 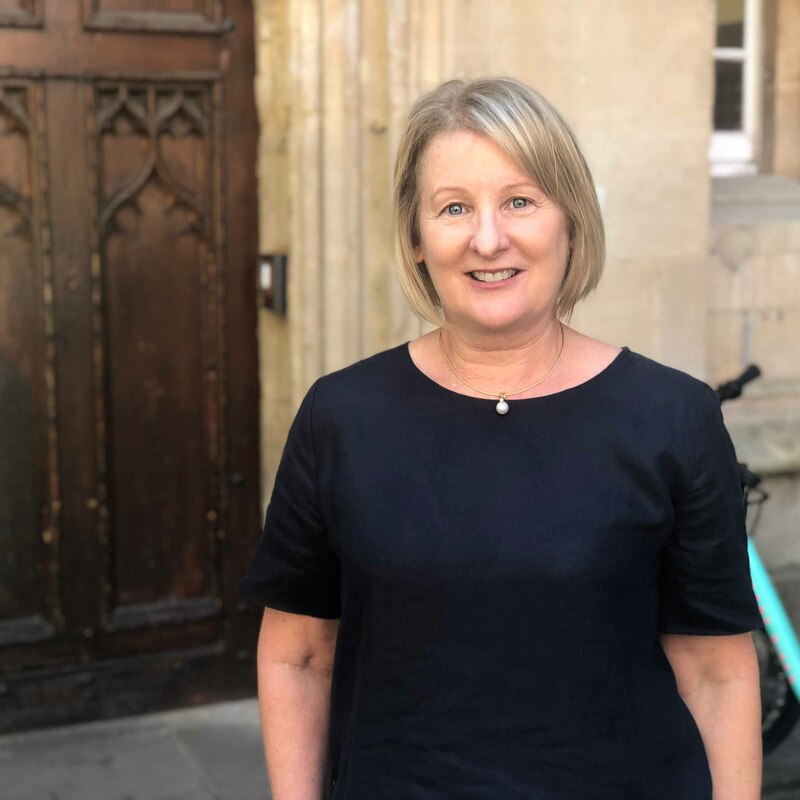 Jenny’s educational and research interests have consistently centred on quality and equity, and have ranged across topics such as teacher socialisation, alternative pedagogy, power relations in teaching, reform in teacher education, pedagogical reform, and teacher development. Since 1992 Jenny has won more than $5.1 million in external research funding, and has been involved in and/or managed several large research grants, including: ARC Large Grants on power relations in pedagogy (1992-1994) and educational governance and social inclusion and exclusion 1998-2000) (with Ladwig and Lingard); an Education Queensland grant (1998-2000) (with Ladwig, Luke, and Lingard); a DEST grant (2001-2002) on the preparation of teachers in literacy and numeracy education (with Louden et al); an ARC Linkage Grant (2004-2007) on the relationships between professional development, pedagogy, and achievement with the NSW DET (with Ladwig, Griffiths and Amosa); a Carrick Institute Grant (2007-2008) on improving assessment in higher education (with Amosa, Ladwig, Griffiths, and Parkes); an ARC Linkage Grant (2009-2012) on effective implementation of pedagogical reform (with Amosa and Bowe); an ARC Discovery Grant (2013-2015), a RCT of a school-based physical activity intervention in at-risk communities (with Lonsdale, Lubans, Peralta, Kolt and Maeder); and, an ARC Linkage Grant (2012-2015) on the educational and career aspirations of children in the middle years of schooling (with Southgate, Albright, Holmes, and Smith). Jenny has sat on the Advisory Board for other government-funded studies, has assessed ARC grants, as well as research grant applications for key schemes in Portugal and the United States, and has reviewed more than 200 articles for a range of international journals. 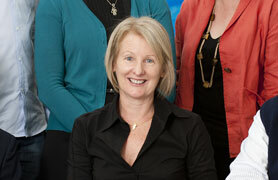 Jenny’s role as a leading academic in teacher education led to her appointment in 2003 as Associate Editor for Teaching and Teacher Education: An International Journal of Research and Studies (2003-2010), and she is currently on the Editorial Boards of the Australian Journal of Education, Teaching and Teacher Education, and Sport, Education and Society. 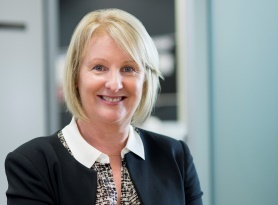 Jenny has also held executive roles for the Australian Association for Research in Education (2001) and the Australian Council of Deans of Education (2000-2002). She was President of the NSW Teacher Education Council (2000-2002), the sole teacher educator on the NSW Teacher Education Review Taskforce (2001) and a member of the National Initial Teacher Education Advisory Committee (2012-2013). Widely published and cited (more than 7,000 citations), Jenny’s major books are published with Routledge (New York and London), and most of her book chapters are in volumes that bring together leaders in the field with publishers such as Teachers College Press, Falmer, Macmillan, and Sense. Her journal publications are located in a range of journals, including the Journal of Teacher Education, Cambridge Journal of Education, International Studies in the Sociology of Education, Teaching and Teacher Education, Teachers and Teaching and Asia Pacific Journal of Teacher Education. 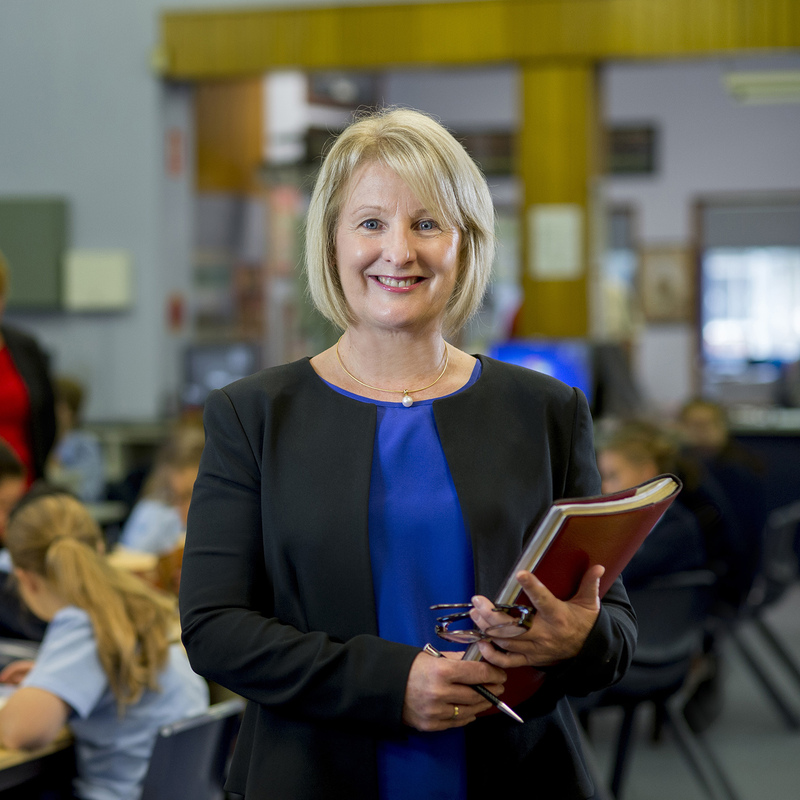 Jenny’s research on Quality Teaching and professional learning has had significant impact, resulting in substantial consultancy across government, catholic and independent school systems, especially in NSW and the ACT. Her work in this area also led to a Carrick Institute Citation for Outstanding Contribution to Student Learning, awarded in 2007 to Jenny and James Ladwig for sustained excellence and leadership in transforming teaching and learning in teacher education through the development of innovative conceptual frameworks and resources. 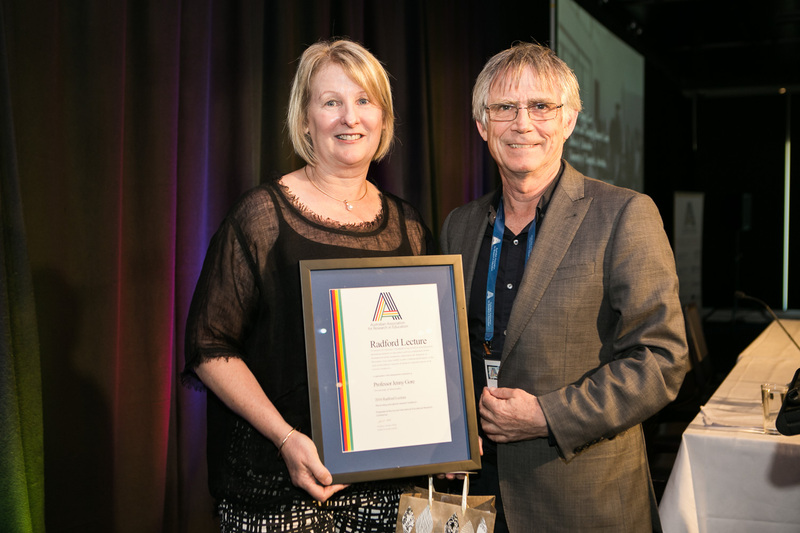 More recently, Jenny was invited to deliver the prestigious Radford Lecture at the annual conference of the Australian Association for Research in Education in Melbourne in 2016, the highest honour within the association for distinguished academics. A video of the Lecture is available here. Specialist studies in education, Curriculum and pedagogy. Professor Jenny Gore is currently leading the Teachers and Teaching Research Program, which represents a culmination of more than a decade of research, mostly undertaken in collaboration with key colleagues at the University of Newcastle, including Jim Albright, Julie Bowe, Kath Holmes, David Lubans, James Ladwig, Wendy Miller, Drew Miller, Nicole Mockler, Max Smith and Erica Southgate. She also works closely with research higher degree students on projects related to this research agenda. 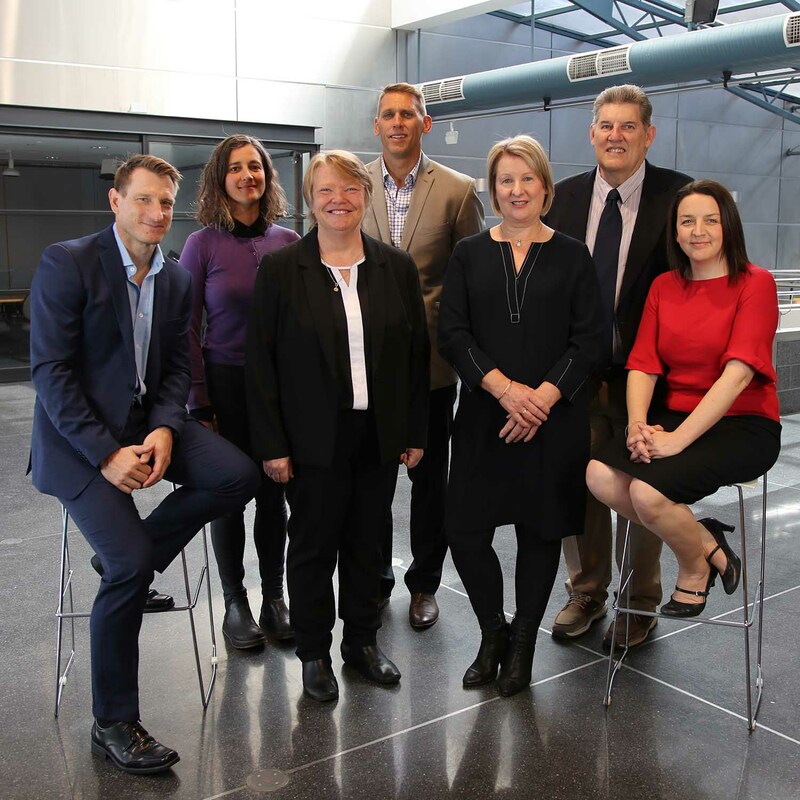 Collaborative research partnerships with external organisations have been central in building the program of work, especially with the NSW Department of Education, the ACT Education and Training Directorate, and various Catholic Education Offices. 2015 The Educator's inaugural "Hot list: Who's who in education in 2015"
Each year AARE invites a distinguished figure in the area of educational research to present the prestigious Radford Lecture at its annual conference. This is the highest honour within the Association for distinguished academics. Professor Gore delivered the lecture Reconciling Educational Research Traditions. You can view it here. Lecture presented at the Australian Council of Deans of Education forum. View here. The Excellence in Professional Practice conference is held annually to explore the best practice in education. 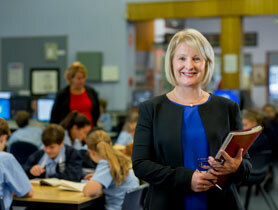 2012 How do you get both quality learning and good NAPLAN scores? Organisation: International Study Association on Teachers and Teaching Description: My invited keynote address at the first ever Australian hosting of the ISATT conference was an enormous honour. Four keynote addresses were given during the four days of the conference, with the other speakers from Belguim, USA, and New Zealand. Organisation: Challenging Futures: Changing Agendas in Teacher Education Conference, UNE Description: This keynote address invitation acknowledged me, alongside Marilyn Cochran-Smith from the USA (the other main keynote speaker), as a leading figure in the reform of teacher education. Panel member discussing the topic "The future of teacher education". This lecture was delivered at the 2015 annual Carolyn D Baker Memorial Lecture. Lecture presented as part of the Dean's Lecture Series 2015. Watch the lecture here. © 1998 Taylor & Francis. In this chapter, I want to argue that the very structures of education systems and their associated styles of educational decision-making impinge upon modes of social solidarity and forms of political consciousness and representation. More specifically, I will suggest that the currently fashionable preference for institutional autonomy and parental choice within many education systems is unlikely to assist in the empowerment of the majority of citizens in inegalitarian societies. Rather, the celebration of diversity and choice amongst individuals with unequal access to cultural as well as material resources is likely to inhibit rather than enhance their chances of emancipation. Nevertheless, new modes of collectivism do need to be developed that pay more attention to the legitimate aspirations of individuals from all social backgrounds. © 2017 Educational Action Research. The role of ¿academic partners¿ working alongside teachers is an increasingly complex and sometimes controversial one. This article explores the role of academic partners in Educational Action Research, reporting on data from a larger study conducted in New South Wales, Australia. Schools involved in the study had received targeted government funding between 2006 and 2010 to conduct school-based action learning projects employing action research. As part of the funding, the schools had been provided with external support from university-based academic partners, who supported individual school teams in the completion of their projects. Here we focus specifically on the role of the ¿academic partner¿. Data were obtained via semi-structured interviews with academic partners themselves, with the project¿s state coordinators who oversaw the project, and with teachers who had worked with the academic partners over the course of their school-based projects. Participants in the study identified significant benefits for both teachers and academics engaging in co-inquiry, but findings also suggest that the role of academic partner is increasingly complex, multifaceted and sometimes under-supported. When there is ¿good fit¿ between academic partners and schools and when structures are in place to support academic partners in their work, the academic partner role in schools can contribute to sustained educational change. In this article we discuss the crucial antecedents, enablers and constraints which ensure that academic¿school partnerships enrich learning for both academics and teachers, building mutual capacity. © 2014 Taylor & Francis. International concern about ¿alarming¿ levels of childhood obesity has seen a proliferation of interventions filtering into school physical education programmes that are designed to influence children&apos;s health practices and attitudes. This article addresses one such obesity-prevention intervention, the Global Children&apos;s Challenge¿, a 50-day pedometer-monitored event, aimed at children and involving their parents and teachers. Our research problematises the effects of the GCC pedometer exercise regime. We demonstrate how the pedometer measurement imperative made available in the GCC not only enables exercise to be measured for potential health benefits but also makes available tools inextricably linked with antagonistic body relations that could propel some students into a self-monitoring world dominated by numbers. We illustrate how the emphasis on measurement allows for comparisons (dividing practices), self-surveillance and surveillance of others in the formation of particular kinds of subjectivities. This study of the discursive construction of student subjectivities in the GCC took place in one strategically chosen Australian primary school. In-depth interviews were conducted with one teacher, four Year-6 students and a parent of each child in order to produce rich contextual data. Foucauldian concepts of power, knowledge and ¿technologies of self¿ underpinned the study and Gore&apos;s methodologies for analysing ¿techniques of power¿ and ¿regimes of truth¿ were used to explore the functioning of power and the formation of subjectivities in the GCC. Our analysis suggests a need to move away from the constraining construct of measurement in the primary physical education (PE) classroom and promote self-reflective mindful physical activity rather than telling students when, where and how to move their bodies. In this paper, we explore the divide between academics and teachers over the production and use of knowledge. Teachers&apos; views (pre-service and inservice teachers from both Australia and the United States) on educational research are utilized to better understand and [re]vision this divide. These teachers overwhelmingly dismissed academic research on the grounds that it is not practical, contextual, credible, or accessible. Using these challenges as a starting point, we examine the way relations of power, particularly in terms of discursive and material conditions, bind the views and practices of both teachers and academics. This analysis suggests that the education of teachers is a crucial site for restructuring the relationship between teachers and academics. Global education thought-leader, Laureate Professor Jenny Gore has been conferred the prestigious title of Visiting Professor at Oxford University, commencing October 2018. UON's Professor Jenny Gore explains that research demonstrates many students are developing clear career aspirations as early as primary school. A forum aimed at helping to bridge the regional skills gap by increasing equity in education will be held on the Central Coast at the end of October. 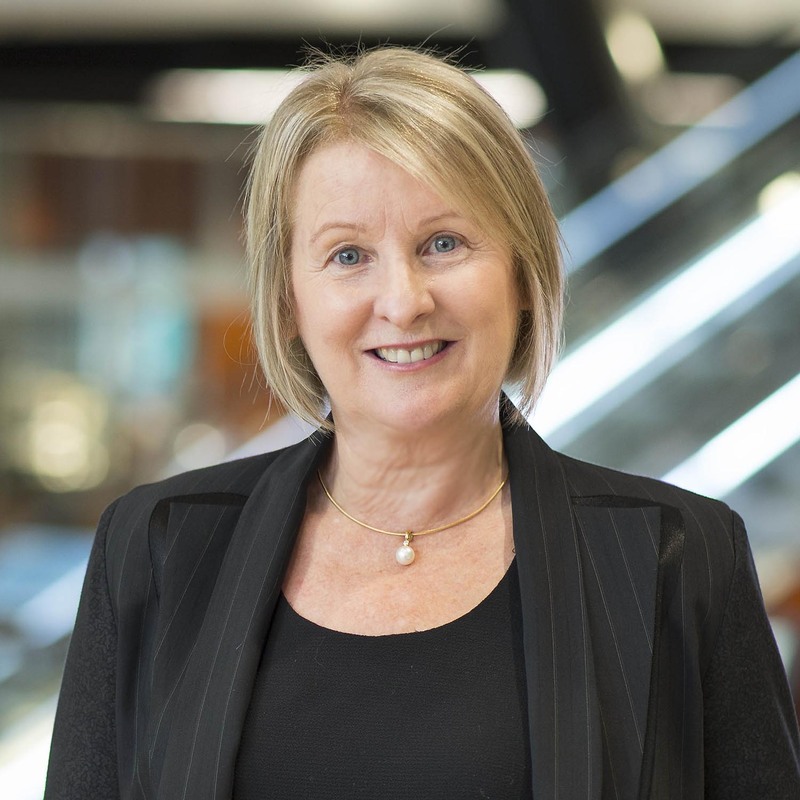 Professor Jenny Gore receives Radford Lecture invitation at this year's Australian Association for Research in Education Conference in Melbourne. The University of Newcastle (UON) Australia's education discipline ranks in the top 150 in the world in the QS World University Rankings by Subject 2016.